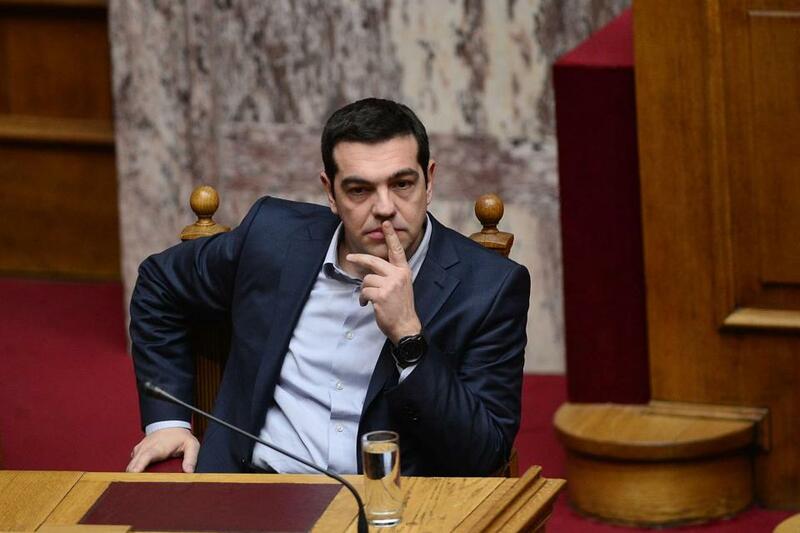 Greek Prime Minister Alexis Tsipras, of the hard-left Syriza party. As of this writing, Thursday morning, Germany has slammed the door. Greece had gone the extra mile, submitting a request to continue formally under the hated bailout program, while discussing necessary changes. European Commission President Jean-Claude Juncker was on board. But the answer came from Berlin: nein. The question was: Can official Europe break out of its self-serving illusions and see the reality that is obvious everywhere in southern Europe? That reality is that the Draconian austerity policies of the past six years have failed to produce economic growth or jobs, to improve public services, or to fight corruption. Instead they have worked to demolish core public services such as education and health care and have stressed Greek society to the breaking point. These policies must be changed, and they will be changed — with Europe’s agreement or without it. Greece, of all the eurozone countries, has seen the most devastating failures. It has lost about one-third of GDP; its unemployment rate is 26 percent overall and over 50 percent for the young. On the avenue from Piraeus to Athens, one sees only shuttered storefronts and pawn shops. Many Greeks are poor; some are hungry. That is why Syriza won the election in Greece. The previous government made the impossible promise that Greece could “complete” its bailout and return to private credit markets by Feb. 28. The new government thus faced an immediate need for new financial terms. On Feb. 4, the European Central Bank blocked Greek banks from using state paper, which is not rated at the required investment grade, to obtain euros. The atmosphere of deadlines and threats set off deposit withdrawals and falling tax revenues as citizens hoarded cash. Greece therefore agreed to start discussions on refinancing and conditions. But Greece will not promise a budget surplus that it cannot achieve. It will not accept the toxic conditions of the previous program on privatizations and labor markets. It will not accept having Greek policies dictated by the “troika” — a committee of visiting enforcers from the European Commission, the European Central Bank, and the IMF. Within these limits, Greece sought a bridging loan and time to discuss the remaining common ground. It was the only reasonable position left. To several governments in the eurozone — Spain, Portugal, Finland — even this was anathema. They face elections and they fear that if Greece succeeds, they will be shown up as spineless for having accepted what Greece now resists, and their internal oppositions will grow. The petty political analysis is surely correct. Some of those governments are likely doomed anyway at this point, either way they move. The Greek people have lit that fire, and it will not go out. Germany faced a choice. It could preserve the union and the euro by changing course, negotiate in good faith, and accept that Europe’s politics and governments will be quite different next year than they are today. Or it could try to hang on to absolute power, and unchanged policies, and try to destroy the elected government of Greece and the rising opposition elsewhere, while taking its chances on the fragmentation of Europe. Unless German Chancellor Angela Merkel overrides her finance minister, Wolfgang Schäuble, at the last minute, it appears the disgraceful decision will have been made. In this dramatic moment, if Europe fails, the United States can step up. Greece is our NATO ally. Its new economic policy is in line with longstanding American views, as President Obama has said several times. Greece has shown pragmatism and patience, unity and determination; these qualities have earned the respect of the American people in the current crisis. And Greece is a small country, easily saved with minor measures, including a loan guarantee and, if necessary, a currency swap. This is within our power to do, and quickly. We should prepare to act now. James K. Galbraith is the author of “The End of Normal: The Great Crisis and the Future of Growth.” In recent days he has been in Athens and Brussels, providing informal assistance to Greek Finance Minister Yanis Varoufakis.